Commercial Services, Lakeland, FL | Johnson's Mechanical Inc. Commercial Services, Lakeland, FL | Johnson's Mechanical Inc.
We provide a variety of commercial services to businesses of all sizes in and around Lakeland, Florida. Is energy efficiency an important priority at your business? If you are looking for a partner who can help you accomplish this, turn to us at Johnson’s Mechanical Inc. We provide a variety of commercial services to businesses of all sizes. You can depend on us for excellent service, maintenance, repairs, and installation with warranties that we will always stand behind. The main commercial services we offer to businesses in and around Lakeland, Florida include energy assessments, design, installation, maintenance, and repairs. Additionally, we service many different systems, including split systems, ice machines, refrigeration systems, chilled water systems, zone/digital control systems, and more. Our fully trained, experienced, and qualified technicians can perform service on all makes and models. We make all of our technicians pass extensive background checks before they are permitted to join our team, and each one has more than five years of experience in the industry. Because we are committed to the year-round comfort of our clients, we offer preventative maintenance programs. We can come to your property every quarter to perform routine maintenance on your systems so you are able to optimize the longevity and performance of your equipment. Fully licensed and insured, we have been providing quality service to our customers throughout Florida since 1982. You can always count on us for service that exceeds your expectations when you reach out to us for help with an HVAC or refrigeration system on your commercial property. 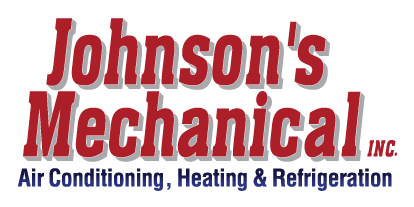 Contact us at Johnson’s Mechanical Inc. today to schedule a time for service or to find out more about the commercial services we provide.